Nobody can deny the power of words! Sometimes you come across a read so good, you just can't help but share it with the people you love. As a reader, I'm always looking for a good read. With the internet, there is an unlimited amount of reading materials, but only a few are worth an investment – and this has to be one of them. This beautiful poem written by Max Ehrman is one the best you'll ever read. It's an impacting assimilation of words that are sure to move you. 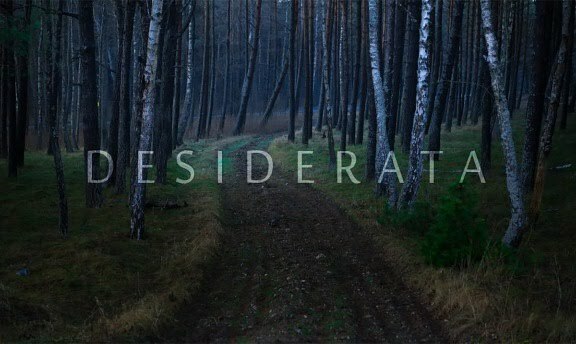 It is titled Desiderata, meaning something needed or wanted! What are your thoughts? Read the poem below.